Choose your own schedule and work one-on-one with a teacher to overcome specific obstacles and get individualized attention! Tutorials are offered for students who cannot attend regularly scheduled classes or who want extra help outside of class. No time to come to school? No problem! LADO now offers online, face-to-face private tutorials for those students who wish to study English from the comfort of their own home. This option is also helpful for those who wish to continue practicing English after returning to their home country or for students outside of the Washington, DC, metro area. Note: Tutorials work best when combined with one of LADO’s regular programs. Please inquire for more information or to book sessions that fit your schedule. 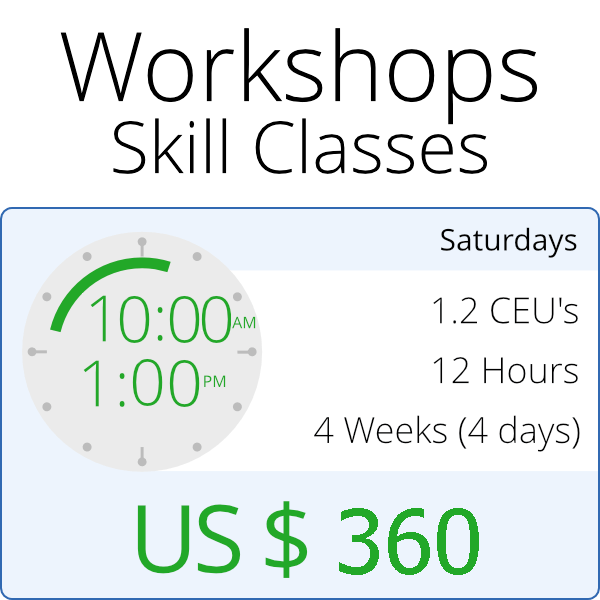 This 4-week, Saturdays-only program is designed specifically for foreign professionals who feel competent in English and yet still struggle to ‘get ahead’ at work due to real or perceived difficulties with their language skills. In this workshop, you will learn how to improve your own communication strategies, how to “talk business” in an American workplace, and how to create a professional development plan that suits your strengths and needs. You will also learn more about the grammar & vocabulary of the business world, helping you to become a better speaker, writer, and learner of English. Important: You will receive links for two surveys from LADO that you must complete 2 days before your session begins. You’ll get the most out of the program when you complete the surveys BEFORE the first session starts. Please contact LADO at [email protected] if you have questions about these surveys. Registration fee of $85 is for new students. Registration fee waived for current students. LADO International Institute excels at preparing students to meet the challenges of a higher academic environment and to develop tried and true testing strategies. Both of these test preparation classes follow the Intensive Program calendar. What tests do we prepare you for? The TOEFL test measures your ability to use and understand English at the university level. It evaluates how well you combine your listening, reading, speaking, and writing skills when you perform academic tasks. The IELTS Test is a test from the International English Language Testing System. IELTS is accepted as evidence of English language proficiency by over 9,000 organizations worldwide. IELTS is recognized as a secure, valid, and reliable indicator of true-to-life ability to communicate in English for education, immigration, and professional accreditation. You can take the TOEFL test with us! LADO will help you improve your English skills!